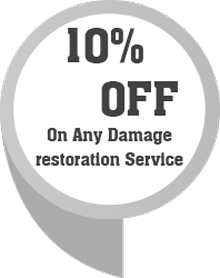 Homestead Emergency Restoration is a reputed service provider of damage mitigation and restoration in Homestead, FL area. We not only provide wide range of remediation services, but also work with expert contractors for remodeling and reconstruction work. Our client list includes residential homeowners and commercial properties, all across the area. Thanks to our quality standards and reliable services, we have become one of the most preferred vendors for our clients. Be it a fire accident or fixing a leaky faucet, there isn’t a job that is too big or small for us. Call us on 786-408-2426 and discuss your needs with our experts. When we started out 20 years ago, we had limited resources, a small team, but large ambitions. We became the best in the industry by keeping up our promise of high quality standards and low prices. We owe our success to the professionals that work with us and our competitors that never delivered as they promised. From the time of our inception, we wanted to be the best in Homestead, FL area. That was our objective from the start and here is how we went about achieving that objective. We believe that our strength lies in the people that work for us. This is why we follow a strict process of recruitment to select only the best professionals from a large pool of available workforce. We never once compromised on the skill sets and experience to hire cheaper resources. In a business where time is money, why waste considerable amount of time in doing something that can be finished in minutes? Our selection of equipment has always ranged from state-of-the-art to highly advanced, allowing us to keep up with the evolving industry standards. We didn’t want to waste time in reaching your location when your house is being gutted by the fire or your precious belongings are losing its integrity the longer they stay submerged in water. This is why we equipped ourselves with sophisticated mode of transport that includes vans, trucks and trailers, fitted with all the necessary tools. This allows us to dispatch our units at a moment’s notice. We never left a stone unturned in Homestead, FL area, as far as our services are concerned. We have reached the highest point of our success by maintaining a large network of workshops, competent professionals and advanced tools. We have grown exponentially in all these years and today provide a full range of remediation, restoration, remodeling and reconstruction services. Needless to say, Homestead Emergency Restoration is now one of the fastest and the most reliable damage restoration company out there. Are you suffering from a flooding incident? Did a fire claim everything you once held dear? Call us at 786-408-2426 today!